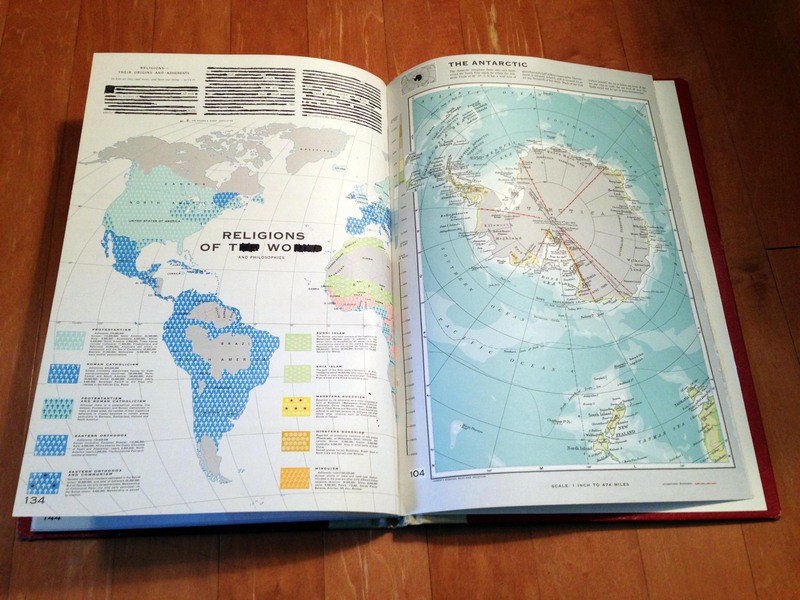 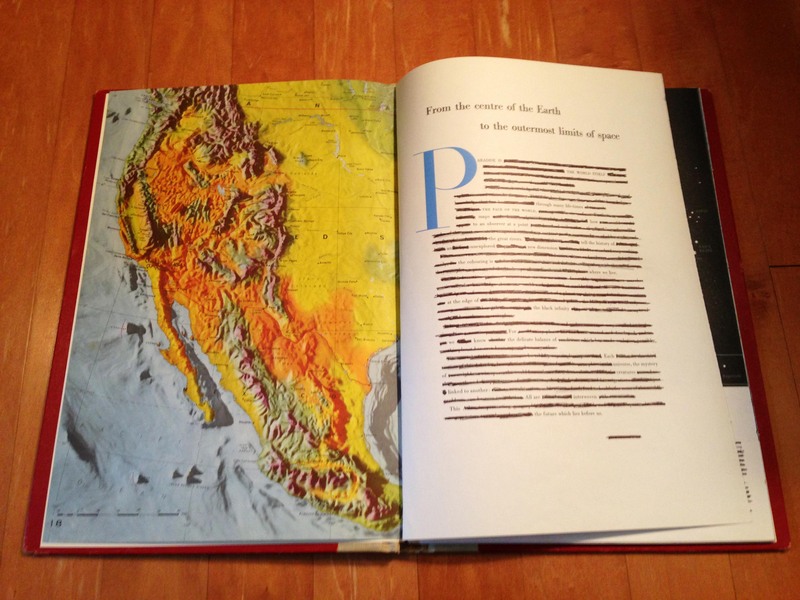 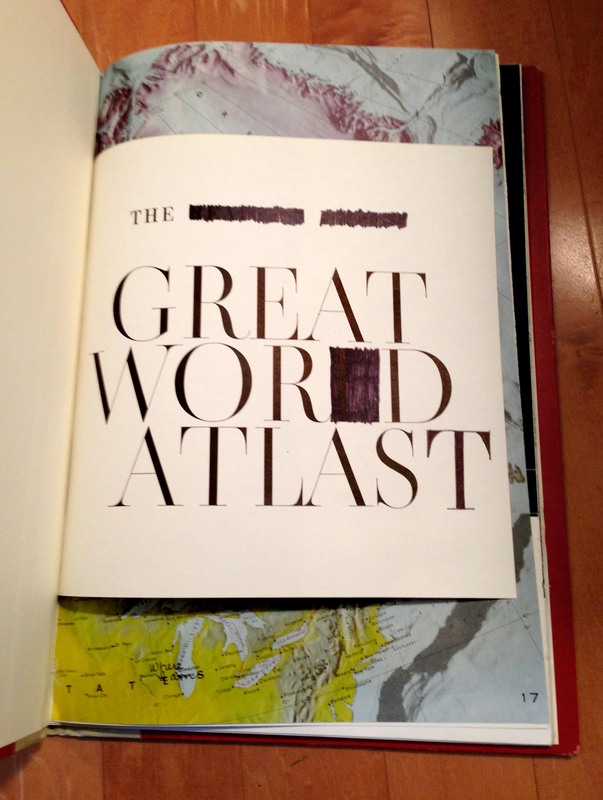 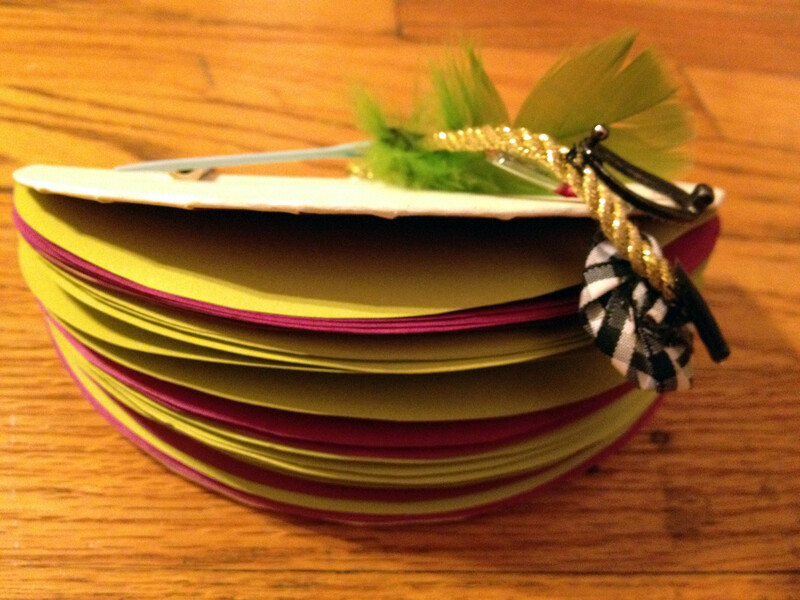 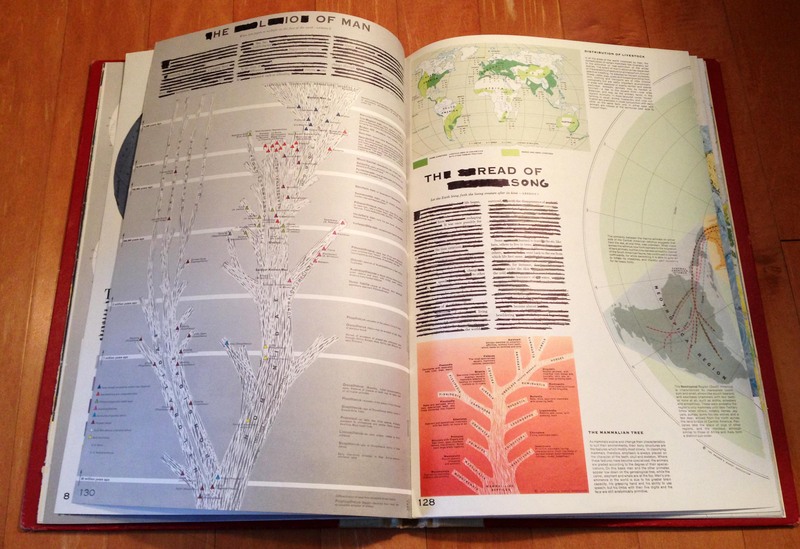 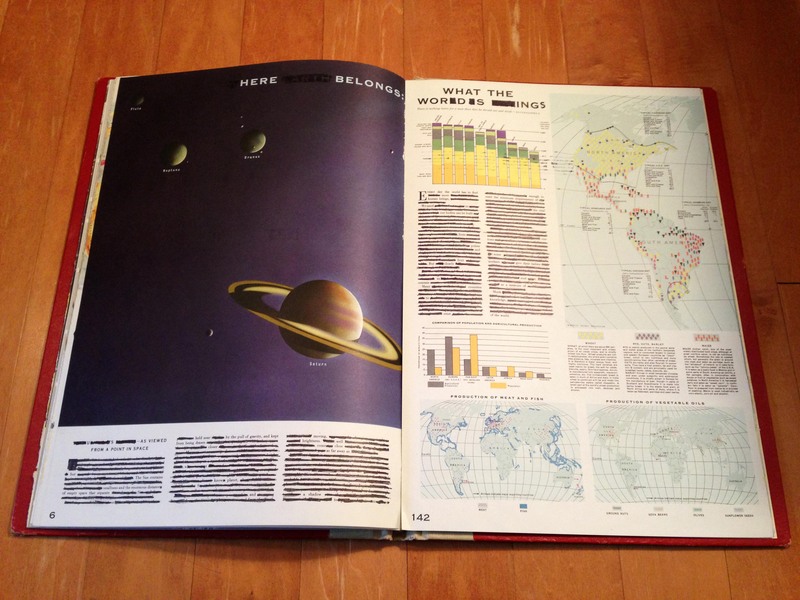 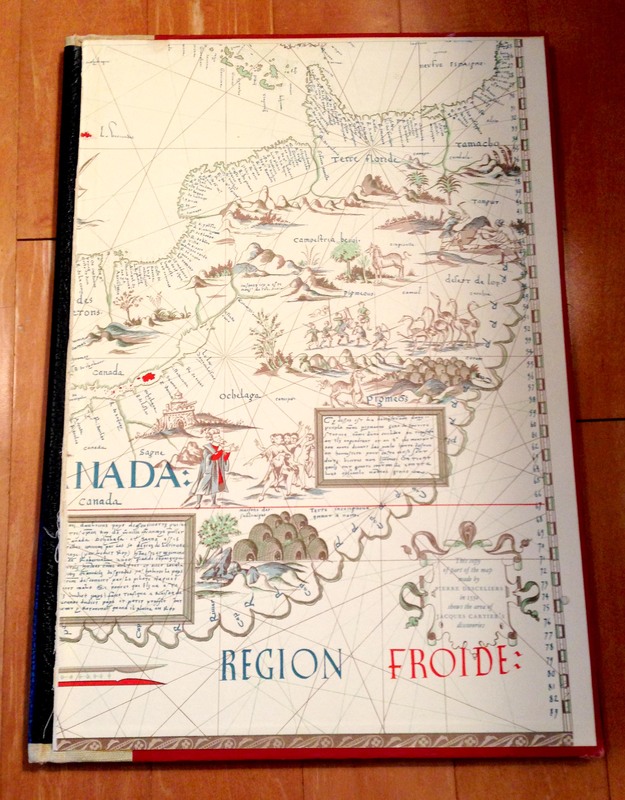 An atlas (The Great World Atlas) repurposed as a collection of black-out love poems. 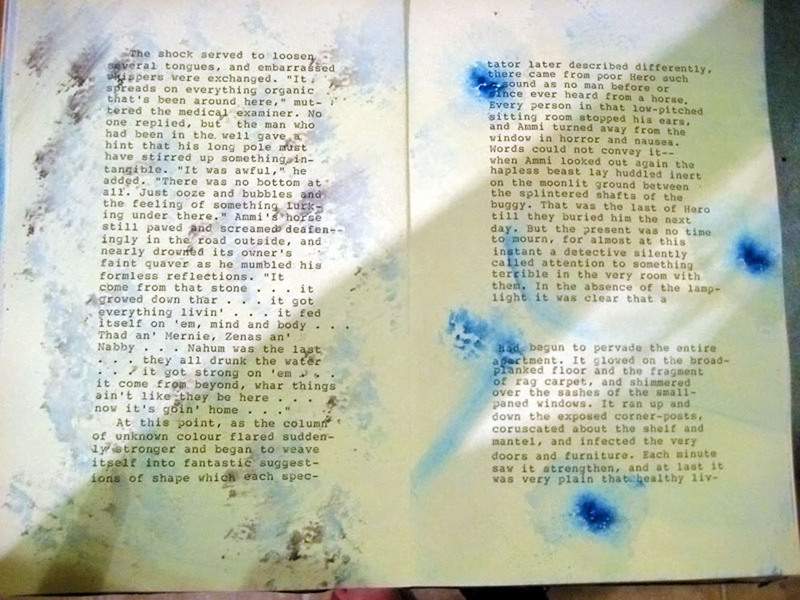 For the exterior, I reversed the book’s cover to reveal the original pastedown and refitted the pages into a new book cloth spine. 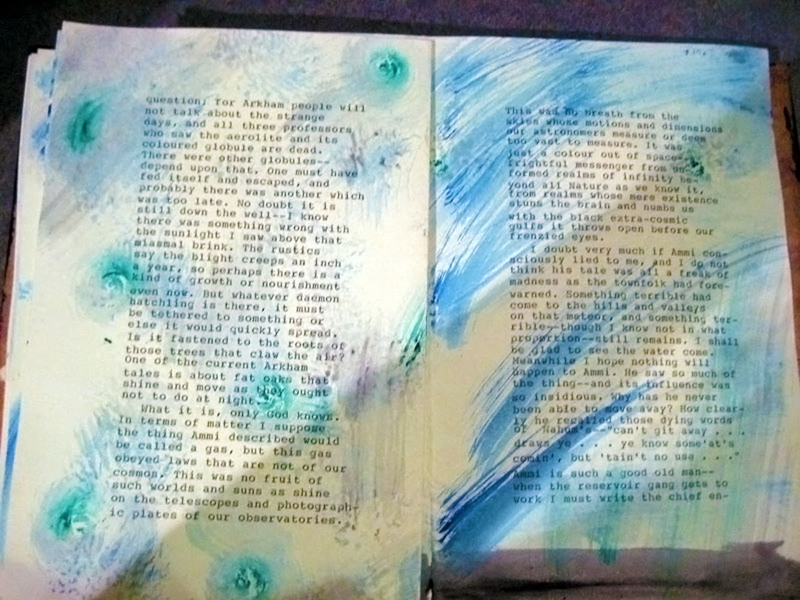 A coptic-stitched 3D spectacle, juxtaposing “found” 3D images with a fragmented poem. 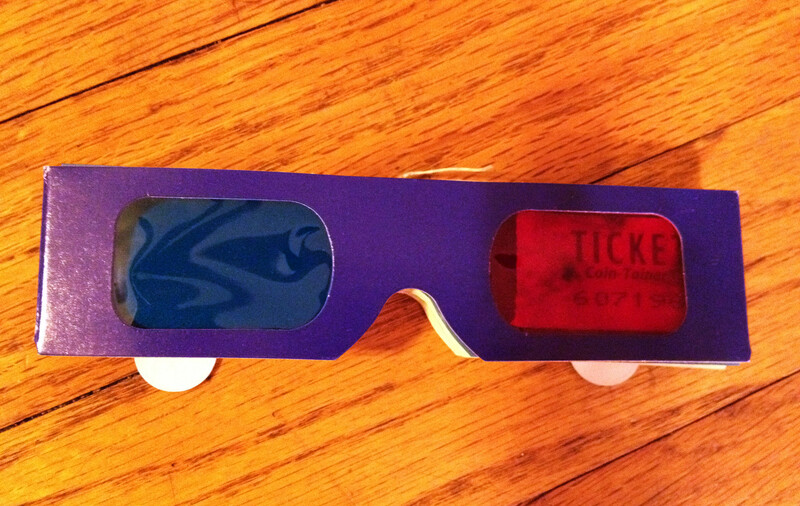 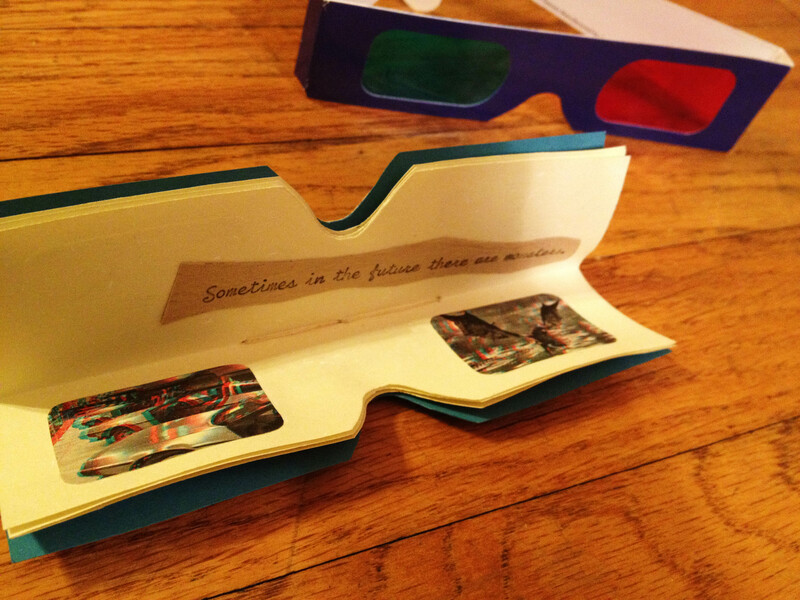 The 3D glasses used to view the images serve as the book’s removable wrapper. 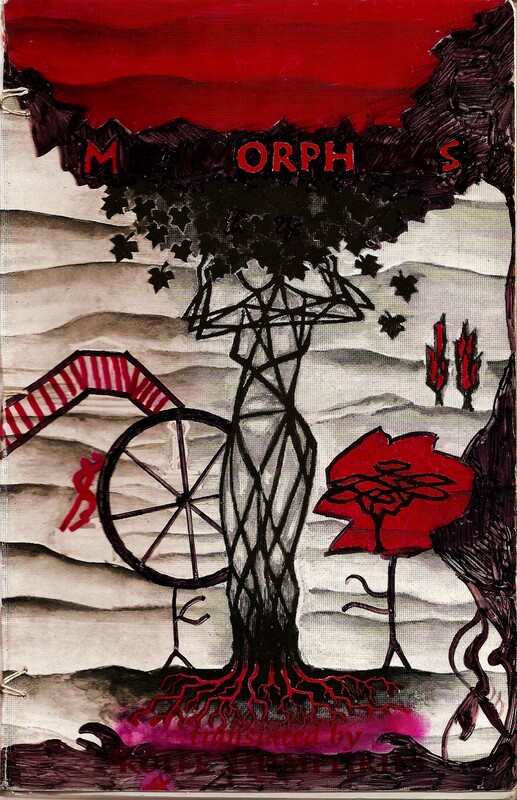 A black-out text of selected scenes and stories in Ovid’s Metamorphoses, with the purpose of illuminating, enlivening, and scandalizing what originally was there. 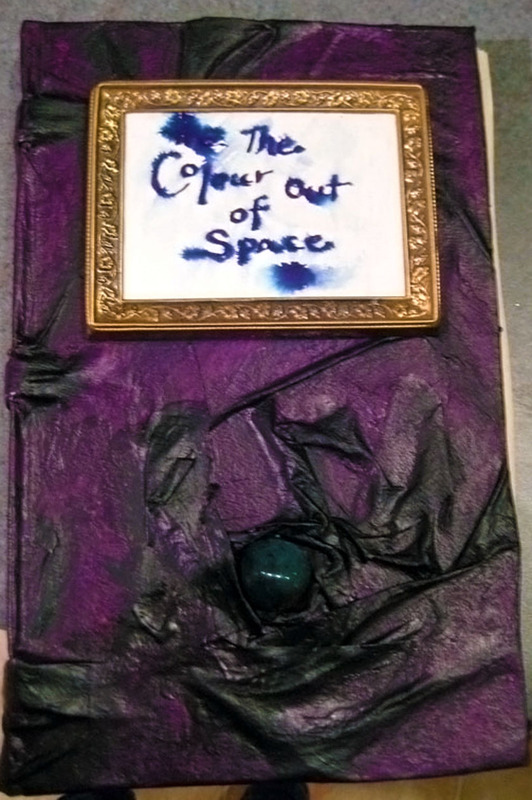 For this project, I typeset the text of H. P. Lovecraft’s short story “The Colour out of Space” via typewriter on hand-washed pages, illuminated the text with calligraphy and paper-cut illustrations, and finally bound the signatures through the “sewing through the fold” technique into a redesigned hardcover .